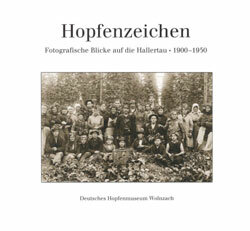 The German Hop Museum issues a series of regular publications. 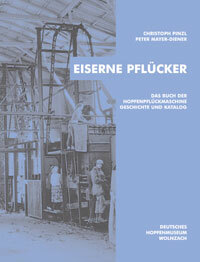 The "publication series of the German Hop Museum" has been published since 1992 and can also be obtained at bookstores. On the occasion of their 60th anniversary, the Bavarian folk music group Dellnhauser Musikanten, well-known far beyond the borders of the Hallertau, released a CD with the title „Hopfa-Musi“ in cooperation with the German Hop Museum. This CD unites the Dellnhausers’ well-known traditional pieces of music and those yet to be discovered dealing with subjects like hops and beer. 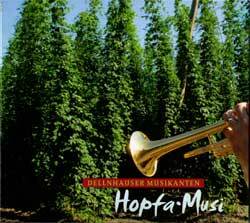 Not for nothing is the history of the Dellnhauser Musikanten and the musical family Eberwein closely linked to hop growing and the Hallertau region. The CD contains18 pieces of music, bearing titles like “Hopfentreter”, “D’Hopfakirm”, “Hopfenbauernlied” and “Wirt vo Stoa” (who drinks his beer alone). The majority of the titles originates from the sound archive of the Bayerischer Rundfunk and was made available on the occasion of the 60th anniversary. All pieces date back to the time period between 1951 and 1992. Since the middle ages, hops have been used for medicinal purposes. In particular, the plant has become known for its sedative and sleep-promoting action, its usefulness against inflammation, and for treating female aliments or gastro-intestinal complaints. Its high anti-bacterial properties led to the plant being used as a preservative in beer brewing and eventually as the only permitted flavouring agent in beer as of the “reinheitsgebot” (the German purity law) coming into effect in 1516. In recent years, interest in hops as a medicinal plant has grown considerably. The main focus has been on research into xanthohumol, a hop component with potential cancer preventive activities. other studies confirm the effectiveness of hops in the fight against osteoporosis, inflammation, or as a natural antibiotic. This book is the first to give an overview of the remarkable potential of hops as a medicinal plant. It covers more than 1000 years of medicinal applications of hops, with a focus on those that are still of interest. current research results about the effectiveness of various hop components are clearly explained. 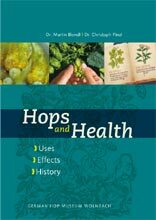 chapters about hops in beer, growing and processing of hop plants, together with an extensive bibliography containing references to other publications, round off this book. The Mona Lisa in front of a hop garden, Paul Gauguin inspired by hops, Caspar David Friedrich painting hop landscapes. What do visual arts have to do with hops? More than meets the eye. The catalogue provides the evidence for this. Students from the advanced art course at the Gymnasium Wolnzach explore the common aspects of hops and the “great” visual arts in a playful way. This is in line with the “complexity” of the catalogue itself, as all presented pictures can also be used as post cards. 42 pages, 15 color illustrations. Price: 8.00 EUR. The hop picking machine was already a legend when it harvested a German hop garden for the first time in 1955. Being the biggest and most expensive agricultural machine of its time, it revolutionized an entire agricultural sector within only a few years, changing the lives and work of many people. This book is the first to cover the fascinating history of the hop picking machine since its beginnings in the 19th century. For a “hop greenhorn“, this publication offers an entertaining and easy to understand introduction into an exciting special subject of agricultural, technological and hop history. The expert will be offered a multitude of previously unknown details and references. In the catalogue part you will find an introduction to all models of hop pickers having been available in Germany since 1956, stating all technical data, types and series. Hundreds of photos, most of them published for the first time, as well as rare catalogues, illustrated charts and graphics bring to life what has meanwhile frequently fallen into oblivion. The name Hallertau is associated with hop growing, and vice versa. This belies the fact that hops became native in this area not earlier than in the middle of the 19th century. But within a very short time, the “green gold” became a myth. It meant both guarantee for prosperity and devilish hop roulette, good old times of hop pickers and never ending hardships of a special crop that wants to “see the master every day”. Behind the history of the Hallertau region there are many stories about hops, particularly the very personal life stories of people having lived off and with this plant for generations. 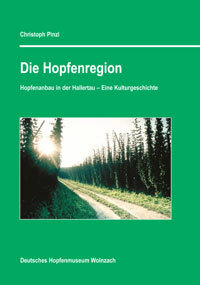 This book examines the associative history of the Hallertau region and hop production from a completely new perspective. And almost in passing, it reveals the fascinating cultural history of an extraordinary plant. 356 pages, paperback. Price: 19.80 EUR. In the last century, the Hallertau farmers began to cultivate hops more intensely. Since then, hops have dominated the region as well as the people’s thoughts and memories and also their culture. The volume’s 140 black-and-white photos are supposed to provide more than an insight into living and working in the rural areas of the old days. The mere act of taking photographs and being photographed is considered and presented as part of rural everyday live. 161 pages, hardcover, 200 black-and-white illustrations. Price: 19.00 EUR. The "ethnographic" part of the medical district report of 1860 from the district court of Mainburg (1992). In 1858, public health officers from all over Bavaria were invited by the highest government institutions to prepare descriptions of their district courts and submit them to the heading authorities until 1861. Today these reports serve as one of the most important and detailed sources for life and living conditions of the Bavarian rural population in the last century. 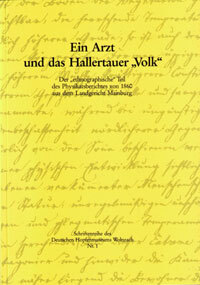 One of the most extensive and sophisticated reports came from Mainburg in the Hallertau. This booklet reports in full and exact wording and complemented by a commentary the second, folkloristic-“ethnographic” part of this “Physical Report” from Mainburg, drawn by the former district court physician Dr. Karl Lautenbacher in 1860. The introduction examines the book’s emergence conditions. The biography of Dr. Lautenbacher turns out to be a highly enlightening chapter of rural everyday life in the 19th century. 113 pages, paperback, several black-and-white illustrations. Price: 11.30 EUR.